Roll up your sleeves and put on your shopping shoes! 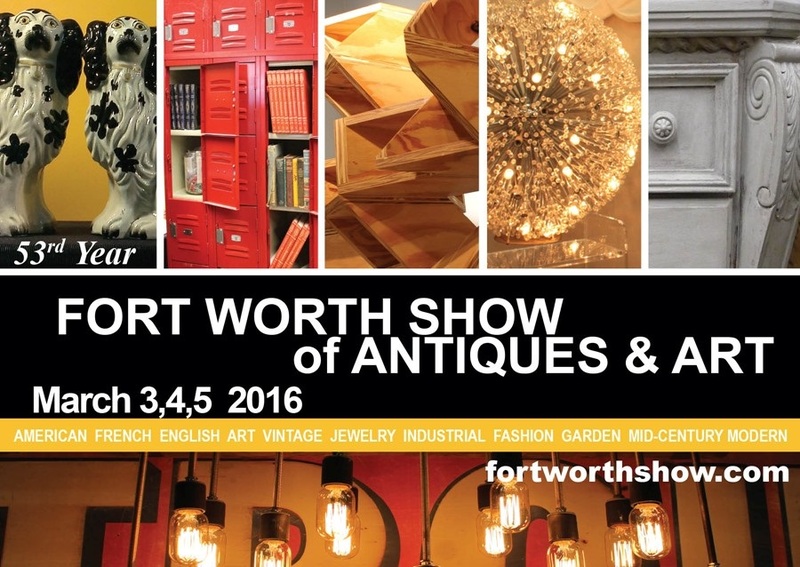 Whether it’s folksy, exotic, contemporary or retro, there’s something for everyone to fancy at the annual Fort Worth Show of Antiques & Art. This year’s show will feature 150 exhibitors from California to New York to Florida, with more art than ever, including contemporary art, photography, art furniture and art jewelry. The winner of this Big Deal will receive free admission for two to peruse the endless, eclectic selection of art and antiques from around the world. Running March 3 through 5 at the Will Rogers Memorial Center. Only three days and only in Fort Worth. And before you put your antique goose quill pen down, be sure you take the time to sign up for our other Big Deals this week – tickets to Fort Worth Symphony Orchestra’s “The Sounds of New Orleans: A Tribute to Louis Armstrong” at Bass Performance Hall, or family tickets to catch “The Little Mermaid” presented by Dallas Summer Musicals at Music Hall at Fair Park. Remember: Only Art&Seek newsletter subscribers are eligible for the Big Deal. If you’re not yet receiving our fantastic weekly emails then you’re missing out! You’ll want to take care of that here first, then enter your information below for a chance to attend the 53rd Fort Worth Show of Antiques & Art at the Will Rogers Memorial Center. UPDATE: We have our winners. Thanks for playing.